In May of 2017 the Upper Hunter Shire Council (UHSC) issued design & construct tender to undertake the complete redesign and reconstruction of the Scone Golf Course, predicated on the need to accommodate the construction of the proposed New England Highway Bypass around the township of Scone by the NSW Roads and Maritime Services (RMS). 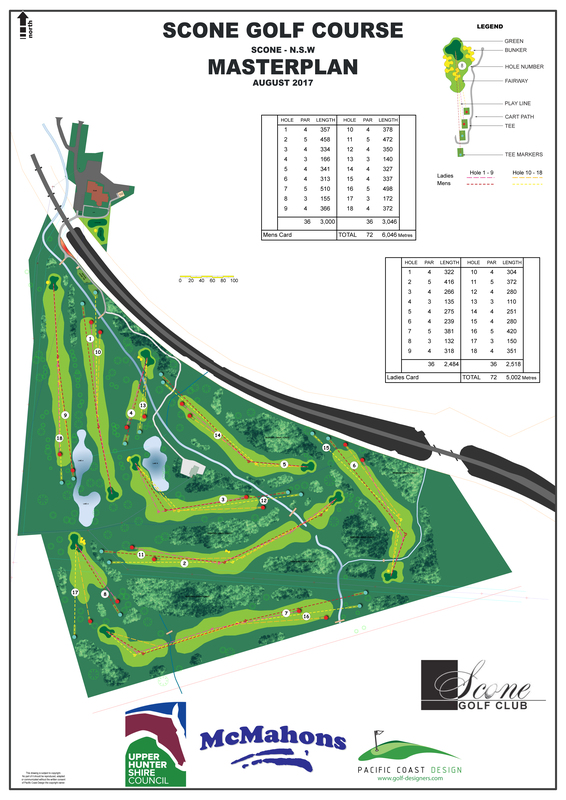 The intended alignment of this new Bypass will cut through the middle of the existing golf course, necessitating the reconfiguration of the current golf holes to preserve both an 18 hole layout of matching standard, length, par and slope rating (being 9 actual golf holes using twin sets of tees); and the relocation of the existing practice facilities to ensure such facilities are retained as part of the proposed modifications. Mark Wylie had been appointed Council’s consulting Project manager and he will be the liaison person throughout works. Following the detailed tender process the team of McMahons Pty Ltd and Pacific Coast Design were chosen by Council and appointed in July. Following the appointment and subsequent design process the team gave a full presentation to members in September as well as attending and playing in the last day of golf at the old layout. The golf course was closed late September and construction work immediately commenced. 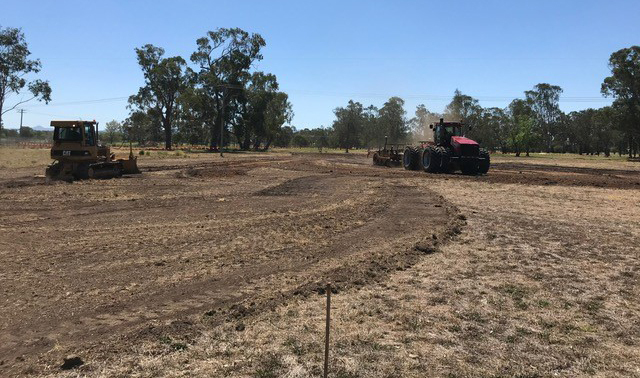 The work is under the control of Brenton (Bruno) Kay, McMahon’s Golf Division Manager and the site project manager for McMahon’s is Jarrod Arps.